Please scroll down for my SCRS Preview Post or click HERE... Thank You!! Hello! Happy Thursday! 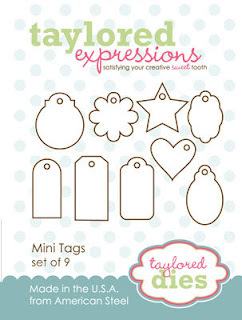 Welcome to the July Taylored Expressions Calendar Challenge! Each month, some of the Baker's Dozen will post samples of calendars using various calendar products available at Taylored Expressions! You are also invited to play along with us! 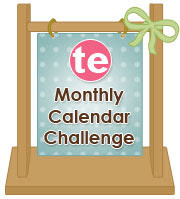 There are SO many TE stamps that would be perfect to decorate your calendars. You can use Doug's Adorable Abodes, or you can create an all wreath calendar with Nancy's fabulous petite wreath sets, OR you can mix and match. I decided to use another Penguin cutie for the month of July. 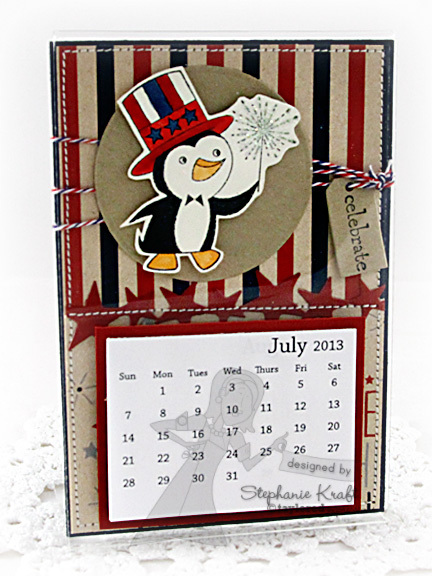 To give you an idea of the size, my full calendar page measures 4" across and 6" tall. I used Uncle Sam today. I stamped him onto Choice Buttercream cardstock, colored with Copic markers, fussy cut and popped him on top of a circle cut out of Kraft cardstock. 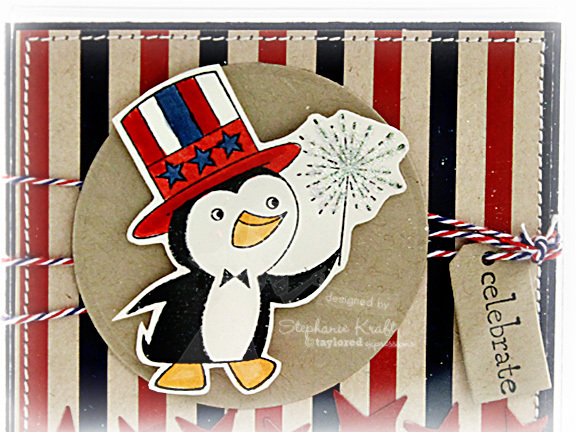 "Celebrate" (also from Uncle Sam) was stamped onto a Mini Tag. I also added some Starfire Glitter to the sparkler in his hand. It is super sparkly in real life! All of my paper is from the 4th of July Project Pantry Kit. Accessories: Mini Tag Dies, Reach for the Stars Border Die (Taylored Expressions); Standard Circle Nestabilities - SM (Spellbinders), Markers (Copic), Starfire Glitter, Air Mail Divine Twine, Foam tape, Thread, Sewing machine. Super cute, Stephanie! Love all the little details like your stitching and the 4th of July twine and the cute little tag addition! Adorable Stephanie! Love the sweet penguin and shimmery sparkler detail! FAB page Steph! I almost used him too! LOVE!